The development team rounds up the players they believe have performed the best over the last seven days and put them in a FUT Ultimate Team. The new FIFA 19 TOTW 3 will be announced tomorrow, October 3, probably around 3pm in the UK. This will be followed by their release later that day, usually starting at 6pm in the UK. 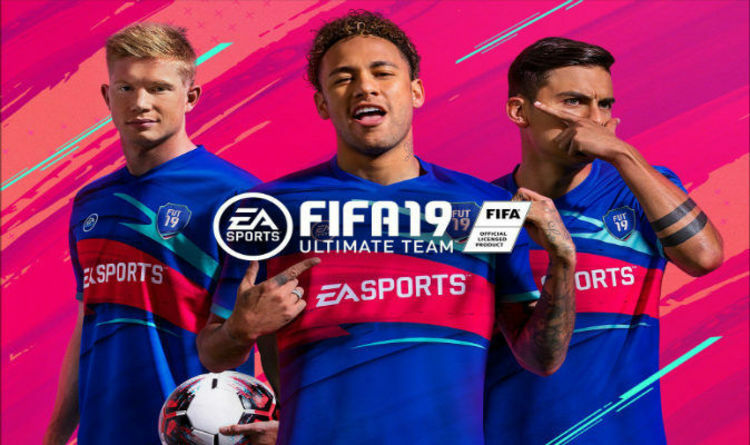 After this refresh has been completed, FIFA 19 fans will then be able to challenge them and have a chance to get TOTW items in packs. So who has a chance of being included in the FIFA 19 TOTW 3 squad? We know scoring a lot of goals usually helps, as does being capped with the MOTM award. Plenty of sites have created their own list of predictions for this week’s FUT list, so we thought we’d pick one from each. Not a full team, but players who look a shoe-in to at least make the subs bench. FUTHEAD – Mario Mandzukic – ST – OVR 84 Mandzukic claimed MOTM after scoring two of their three goals and thus walks into TOTW 3. USGAMER – Neymar scored twice in PSG’s 3-0 victory against Nice, but that is likely to happen a lot over the weeks to come. EXPRESS – Harry Kane played a critical role in Tottenham’s win over Huddersfield as they chase a place in the Premier League top four. FUTWIZ – Harry Maguire (Leicester City) – 82>84 Harry has been an important part of the resurgent Leicester side and remains one of the top current defenders in the league. REAL SPORT – Alisson (OVR 85 – IF 89) The Brazilian shot-stopper made two excellent saves from compatriot Willian and boasts an 84% save percentage. ?lkay Gündo?an was the man of the match for Manchester City in their 5-0 thrashing of Cardiff City. Lorenzo Insigne recorded a brace, helping Napoli defeat Torino 3-1. Wissam Ben Yedder notched a first-half hat-trick for Sevilla against Levante.